I love pockets. I always have. It’s one of the few benefits to living in a place that offers the full benefits (and downsides) of all four seasons — it means for three of those I wear extra layers or jackets. Extra layers and jackets almost always include more pockets. I’ve been a fan of SCOTTeVEST for a long time now. I have several of their items including the Travel Vest that started it all. The reason? SCOTTeVEST has perfected the art of building multiple pockets into their clothing without looking like clothes with a bunch of pockets. Functional clothing that looks great. For instance, the aforementioned vest has 24 pockets. Yet, fully loaded for travel, one would never guess I’m carrying so much stuff. In fact, it’s like having a third carry-on. I recently came into possession of a SCOTTeVEST Hoodie. Like all of their products, it quickly became an instant favorite. 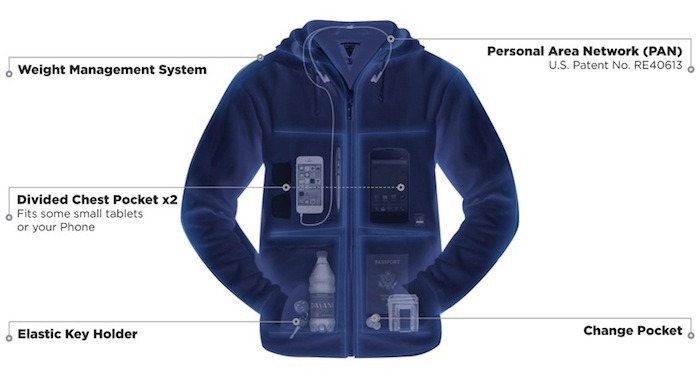 It’s soft, comfortable, warm, has tons of nice touches, and, yes, there are loads of pockets. Ten pockets to be exact. Perfect for carrying my phone, notebooks, pens, keys, and all of the other sundry items I may want. I’ve had mine for a few weeks now and it has become my go-to wear for the strange and changing weather we’ve had as of late. There are a couple of hand warmer pockets as there are with any hoodie but each of these conceal another pocket inside (one side has a largish “secret pocket” and the other a change pocket). On top of the hand warmer pockets are two “drop in” pockets with a snap closure. A smart placement because, when closed, one can barely tell there are pockets there at all. There are also two inside chest pockets that are each divided into two pouches (so, essentially, doubling that number to four). Another thoughtful detail I like is the thumbholes at the cuff for giving your hands a little extra warmth when needed. 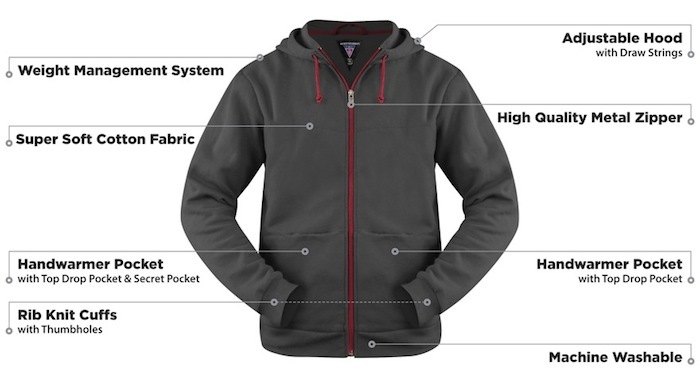 All of the pockets are smartly placed so as to look like just any other regular hoodie you might wear. All of the construction and materials are high quality and built to last through a life of travel and adventure (not that I live one). I got mine in red and have gotten several complements on it whenever I wear it out. Even my wife has commented more than once how much she loves it on me. Seriously, you should check out all that SCOTTeVEST makes. I am a long time customer and have never been dissatisfied. 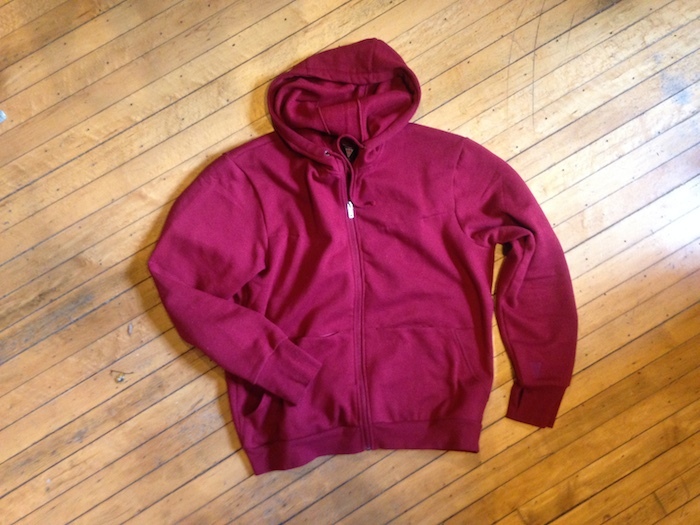 And, if you are in the market for a hoodie, this one should be on your radar for sure. Previous entry is What Will You Be Remembered For?